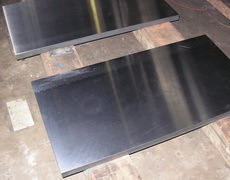 ASTM A48 class 30 is the most common material of gray cast iron. It is USA grade, also equal to GG20 in Germany, HT200 in China, FC200 in Japan, G20 in Italy, T220 in Australia or ISO 200. According to the standard of ASTM A48, this material has min. tensile strength 207 Mpa. Brinell hardness is about 187 - 241 BHN. 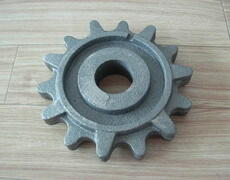 The price of gray iron class30 is comparatively very low as for high grades of gray iron and ductile iron. According to the quotation of Dandong Foundry in Sep. 2011, its FOB China was about 1.25 USD/kg by green sand casting process, 1.39 USD/kg by resin sand casting process, 1.47 USD/kg by shell molding process. These prices were only for rough castings without any machining works. 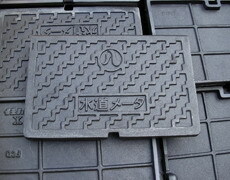 Class30 grey cast iron has very wide application. 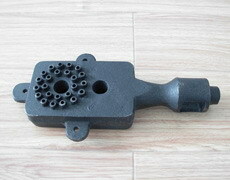 It can be used to produce many important castings with medium or larger pressure load, and has requirements of air seal or corrosion-resistance, such as machine bases, supports, brackets, boxes, houses, machine body, bearing pedestal, workbench, belt pulley, end cap, pump casing, valve body, pipe fittings, flywheel, engine base, cylinder stator, gears, gear boxes, brake disc, pressure valve bodies, gas stove burner, manhole covers etc.